Can You Reheat Turkey In The Oven? | Can You Reheat? Can You Reheat Turkey In The Oven? Q: I have always wondered if I could reheat turkey in the oven without drying it out. I am a terrible cook, but I am sure there are a few tips to keep the meat moist even after being cooked. A: Reheating turkey in the oven is quite simple! The meat will only be as moist as it was when it brought out of the oven the first time. Therefore, you can use a professional and cover with foil to make a heat shield. The meat will cook all the same, but the moisture will not be sucked out! 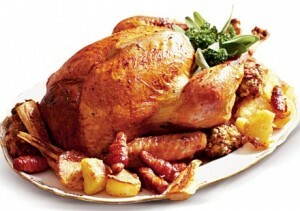 The simplest way to keep the meat from going dry is to tightly wrap the turkey in foil before baking. If it is the breast, wrapping will be easier. However, this method is great for all pieces, even your loose pieces. Preheat your oven to 350 degrees and place the wrapped pieces of turkey on a baking sheet in case juices leak out. You will want to bake the turkey for about 15 minutes for a thick breast and a leg. If there are more pieces or vary in density, you can vary the cooking times. Keep in mind the longer you cook the meat, the more likely it will dry out. Turkey is great all year round, not just for holidays. With this foolproof wrapping method, your turkey will be as delicious as the first night. Your leftovers can keep for about four days when properly refrigerated after that, be sure to throw it away as to avoid illness.